Ok, Game Boy, you're 25 years old. Let's turn you into awesome things. Back when Nintendo's iconic video game handheld was an actively thriving platform, the Game Boy morphed into a variety of cool shapes and sizes. 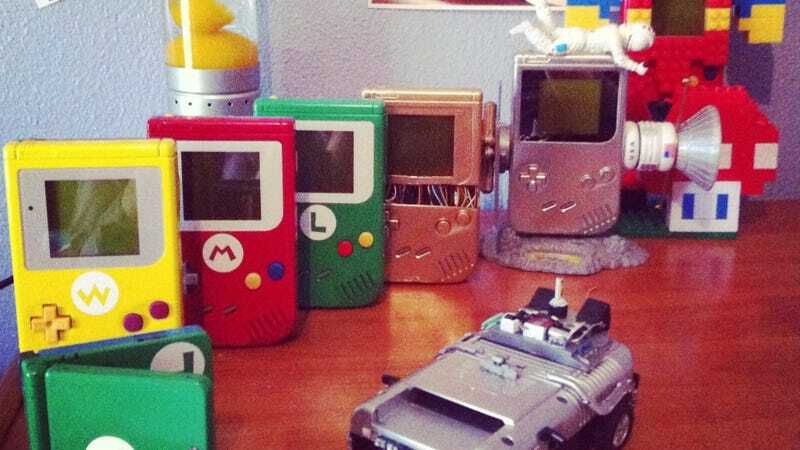 Luckily for us, artist André Farinha has plenty of Game Boy hardware, enough to modify it into an impressive array of creativity. The custom colors look top-notch and that Back to the Future build is worthy of any collectible maniac's lust. Same goes for the Gravity and Wall-E mods. And check out those little buttons on the Mario piece. Fabulous stuff.